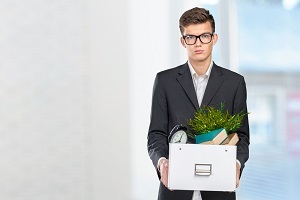 Home Blog Wrongful Termination Are There Exceptions to At-Will Employment in California? Are There Exceptions to At-Will Employment in California? If you are like many employees in California and throughout the country, you do not have a contract of employment. This means that you are an at-will employee. While this also means that you often have few or no rights if you are terminated, it does not give your employer unlimited power to fire you. There are exceptions which give you protections—and the right to sue for wrongful termination—even if you are an at-will employee. At-will employment arises when you do not have an employment contract that determines the terms of your employment and the grounds that give the right to terminate you. If you are employed at will, your employer has the right to terminate you for any reason—or no reason—at any time without any advance notice. Similarly, you have the right to quit your job for no reason with or without giving your employer notice. Public policy. Under the public policy exception, an employer is prohibited from terminating an at-will employee when the termination is against an explicit, well-settled public policy of California. California courts have defined this as anything with the tendency to injure the public good or to be against the public good. For example, an employer would be wrongfully terminating an at-will worker under this exception if the employer fired him for making a workers’ compensation claim after being injured on the job. Similarly, it would be illegal to terminate an employee based on a protected class, like race, gender, disability, or age, under the California Fair Employment and Housing Act (FEHA). Finally, terminating an employee for refusing to engage in an illegal activity requested by the employer would also fall within this exception. Implied contract. Even if an employee does not have a written contract of employment, he may have an implied employment contract. An implied contract is created based on the actions and statements of the employer and employee that reasonably leads the employee to believe that he cannot be fired at-will. The oral or written representations are generally about job security and the procedures that will be followed if adverse actions will be taken against the employee. These representations can be contained in an employee manual, procedures, or handbook, or they may be expressed orally. Covenant of good faith and fair dealing. California is one of a few states that recognize the covenant of good faith and fair dealing exception. It inserts a legally binding promise into the employer and employee relationship. This is a promise to not make adverse employment decisions—like to fire or demote an employee—arbitrarily, maliciously, or in bad faith. In California, it is implied that all employment contracts contain this covenant. Breach of this promise could give an employee the right to pursue a wrongful termination claim against his employer. What Should You Do If You Suspect You Were Wrongfully Terminated? If you are an at-will employee but believe that your termination falls within one of these exceptions, you want to contact an experienced wrongful termination attorney as soon as possible. These cases are difficult to prove. For some claims, such as violation of the FEHA, you must file an administrative complaint quickly to meet the statute of limitations—or time period—to do so before having the right to file a lawsuit. When you are a hard-working, dedicated employee, it can be hard living under the uncertainty of an at-will contract. You can at least assert your legal rights to be free of being terminated for illegal reasons under California law. You could be entitled to compensation for your lost wages, pain and suffering, punitive damages, medical expenses, attorney fees, and more. Start an online chat or call the firm today at 949-679-9909 to discuss your situation with an Irvine employment attorney and to learn about your legal options. Can I Sue My California Employer After Getting Fired?